Using certified ballistic materials such as ballistic steel combined with composite materials fitted inside the doors and Level 4 Certified Ballistic Glass all-around, Trasco has added an additional 331 lbs to the standard DB11’s curb weight. 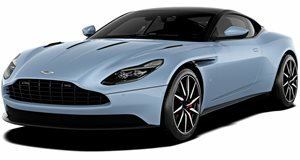 The company claims the DB11’s gross weight hasn’t changed, however, resulting in “no compromise of the vehicle’s performance or comfort characteristics.” Inevitably, the extra weight will have decreased the performance slightly but a V12-powered car with 600 hp and 516 lb-ft of torque on tap still isn’t going to be slow, so we doubt any customers will complain. Tresco claims the lightweight armoring can be applied to almost any vehicle including sedans or sport cars from luxury brands such as Aston Martin, Ferrari, Porsche, BMW, Mercedes-Benz, Audi, Volvo, Jaguar, Bentley and Rolls-Royce, and even smaller sedans. SUVs such as the Mercedes-Benz GLS, G-Wagon, BMW X6, Audi Q7, Lexus or Range Rover can also be fitted with the company’s lightweight armouring. The best part is you can barely tell it’s an armor-protected vehicle, as Tresco retains the original design of each car, allowing it to discretely blend with traffic. Pricing for the armored Aston Martin DB11 is only revealed on request. A standard version will set you back at least $200,000, so it obviously isn't going to be cheap.